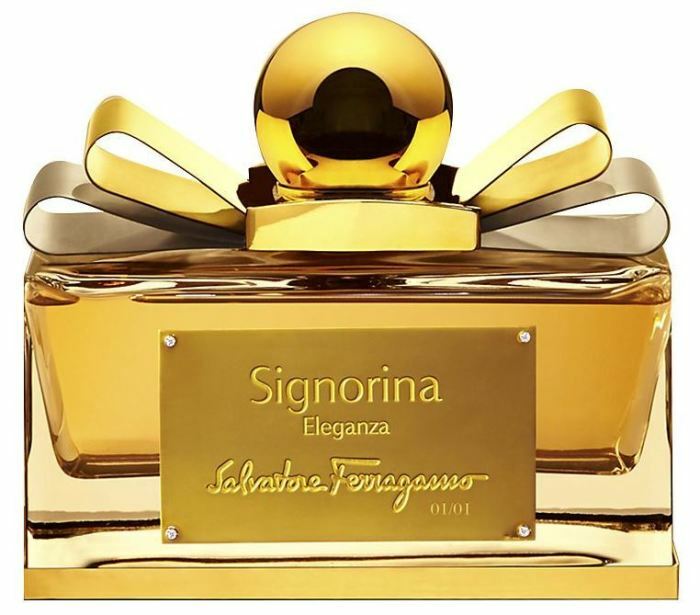 Salvatore Ferragamo’s recently launched Signorina Eleganza Eau de Parfum is now up for grabs at Harrods in a unique edition. Filled with 1000 ml of fragrance, this unique piece comes in a flacon embellished with 4 white diamonds totaling 1.2 karats and 18 karat gold detailing. The gold plaque of the pure crystal flacon features the Salvatore Ferragamo logo. Adding more glitter, it comes topped with a spherical cap made of pure gold. The floral based Signorina Eleganza full of feminine elegance, seduction and refinement has head notes of grapefruit and pear. With luxurious heart notes almond golden and osmanthus petals, and base notes patchouli and white leather, Signorina is made to leave a lingering scent on the skin. The diamond studded crystal flacon is presented in a special leather case. 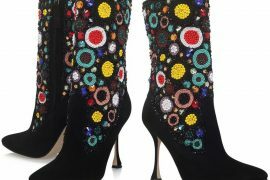 If you are really interested in Signorina Eleganza special edition, be ready to fork out the hefty $43,000 (£26,500) price tag.